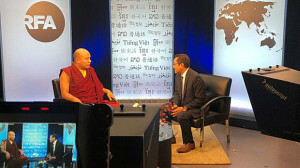 (TibetanReview.net, Aug01, 2018) – Ending speculations that he may most likely not return to India where his movement had remained restricted by New Delhi, the second most prominent Tibetan religious figure at present, the 17th Karmapa Ogyen Trinley Dorje, has said Jul 30 that he will definitely return. In an interview with the Tibetan Service of Radio Free Asia (Washington), the Karmapa has said talks with the Indian government over his return were ongoing and that he could be back in November although the initial plan was by July end. Following years of requests and more than two years of a relay hunger strike by monks, New Delhi recently relented to let him visit Sikkim to meet his followers there. However, this excludes Rumtek, his monastic seat in exile, over which there is an ongoing court case due to a disputed succession. The head of the 900-year-old Karma Kagyu sect, a branch of one of the five main schools of Tibetan Buddhism, has been staying in the United States for just over a year, undergoing medical exams and visiting his many religious centres there, including the main one in Woodstock, New York. “I have no doubt or question that my return to India is absolutely certain,” the Karmapa has said. He had escaped from Chinese ruled Tibet in Dec 1999, arriving at Dharamshala and Meeting with the Dalai Lama there in Jan 2000. The Karmapa hopes to take part in an important meeting of the heads of the major Tibetan Buddhist traditions at Dharamsala in Nov 2018. He had also already agreed to consider visiting his followers in Sikkim state at an early time on their requests. The Karmpa allayed rumours that he might wish to travel to Chinese ruled Tibet to visit his parents, making it clear that his intention has always been to go back to India. “So I wanted to clarify these things by having constructive talks with the Indian government, and we are going ahead with discussions now. If things turn out well, I am ready to return,” he was quoted as saying. 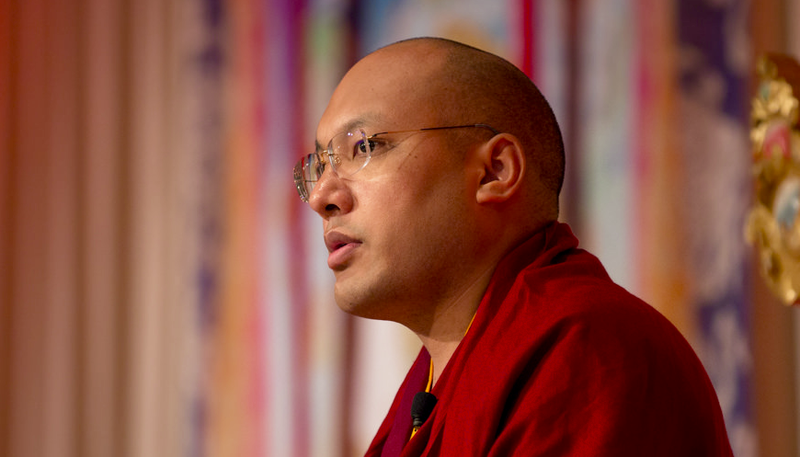 “When I first arrived in India, I faced many difficulties, including accusations that I was a Chinese agent,” the Karmapa has said, adding that his access to Indian authorities was for a long time limited to lower-level officials. “But now we have an opportunity to meet with higher-level Indian leaders (something he was denied while at Dharamshala) to explain my situation, which has made a huge difference,” he has said. The Karmapa has said he initially planned to return to India by July end. However, this was complicated by rumours about his alleged intentions, including through complaints against him made to the Indian government. The medical issues – all stated to be not major – he suffers from were stated to include a history of high blood pressure, a possible throat problem suspected by a German doctor, some possible indications of diabetes, and a minor heart condition for which the Karmapa has said screening and testing were ongoing. Born in Tibet in 1985, Karmapa Orgyen Trinley Dorje was enthroned at Tsurphu Monastery, his traditional seat located in the outskirts of Tibet’s capital Lhasa. His recognition was endorsed by Tibet’s exiled spiritual leader, the Dalai Lama, and the Chinese government went along with it. Top Chinese leaders met with him in Beijing. But he later escaped to India, citing lack of access to religious teachers whom he hoped would mentor him.